The best time of the year is just days away. 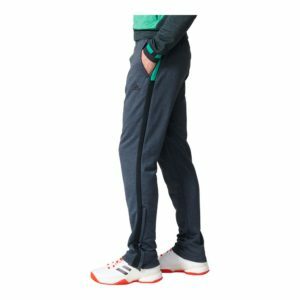 Recognized worldwide, adidas released official Roland Garros apparel for tennis players returning to Paris! Preview the colors before you put them on because at first glance the green is too pastel for summer. The adidas color Core Green is so welcoming and these pieces are made complete with the official Roland Garros Paris logo! Though the shade is a mix of spring green and seafoam that’s Easter-esque, it’s still GREEN and if Christmas has taught us anything. . . green contrasts RED! Compared to 2016’s Y-3 tennis collection this one is understated with barely any print. You still get the same AMAZING and forgiving fit from adidas that I recognize and love. 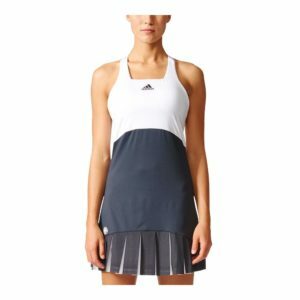 White is the base color on most of the women’s pieces and is accented with adidas’ Night Gray and Core Green. The court really will be a canvas to players like Angelique Kerber and Alexandar Zverev when they glow on the court like a fresh, white paint brush. As the clay rises and dirties the pure white fabric, the contrast will show off the force and fight of the masterful players. 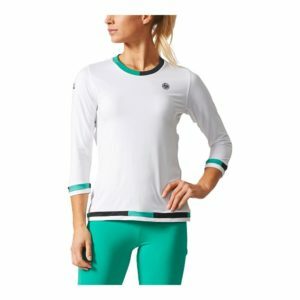 If you’re grinning at the green and can’t wait to cross the court in these reputable creations then, women, know you’ll have a choice of a colorblocked dress in Core Green or Night Gray, a crisp pleated skort, and tops that have versatile sleeve and collar designs for all weather conditions and coverage needs. The men’s looks are crisper with the Night Gray controlling the mood of the collection. You can control the court like Zverev in the Men’s Roland Garros Tennis Tee in White and Core Green or if you like other styles the polo is a sure fit. The detailing in this collection is artsy from the arrangement of the colors from the collar to the bottom hem. The collection is near elegant enough to make you shine in the night. 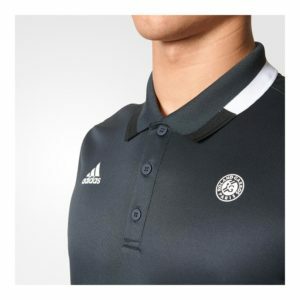 Even if you’re wearing a dark combo like the Men’s Roland Garros Night Gray Tennis Polo with the Men’s Roland Garros Night Gray Pant. Get ready for the round of applause you’ll get wearing this once in a lifetime collection designed for Parisian clay courts. Timeless pieces like these fly off the shelves quickly but expect the Roland Garros Collection to be your favorite for a long time.